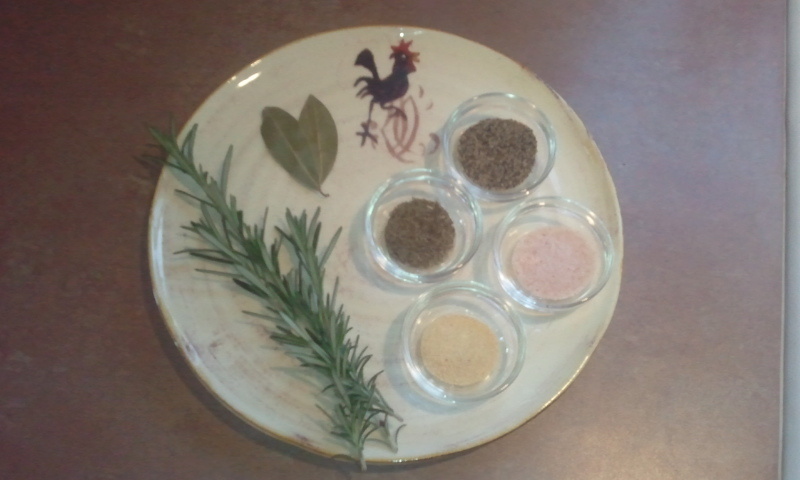 Start by combining the salt, pepper, thyme and garlic powder. 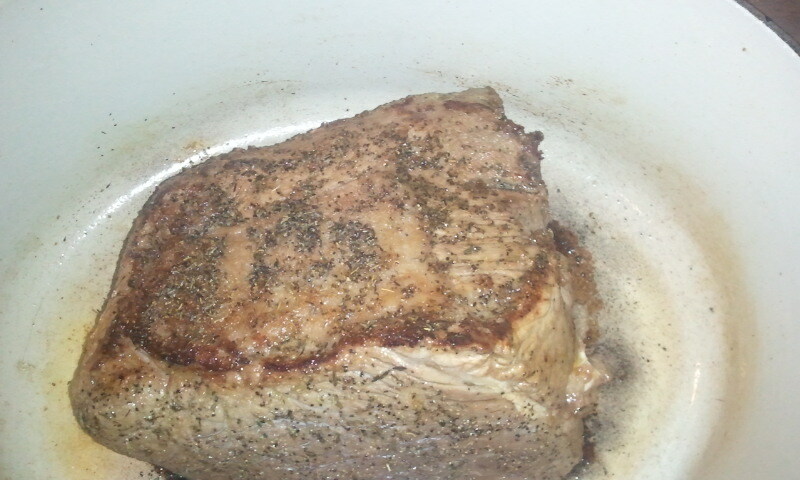 Rub the roast with a couple teaspoons of oil and sprinkle the seasonings liberally on the roast on all sides. Rubbing the oil on the roast instead of adding to the pan will reduce spatters. 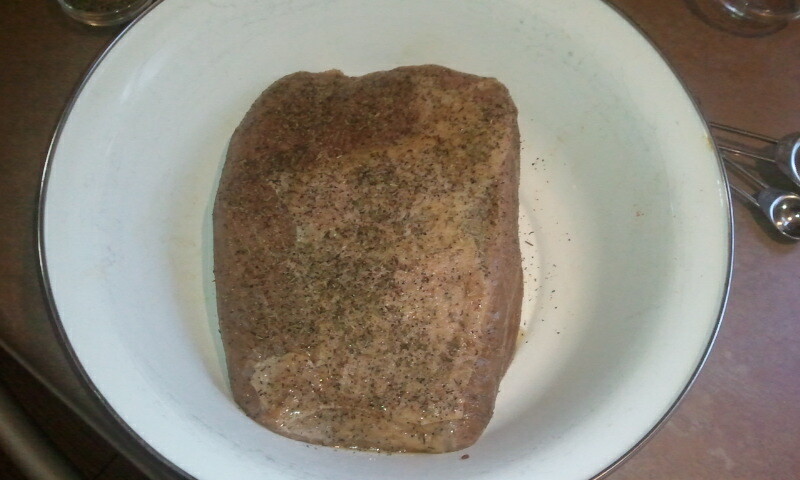 Let sit at room temperature for at least half an hour. While that is happening, chop your carrots, onion and celery. Also, preheat the oven to 350 degrees. Heat a heavy pot on medium high heat. Add the roast and brown on all sides. You’re looking to get a nice caramelized color on all sides. Once you have that done, remove the roast to a plate and add your vegetables to the pot. 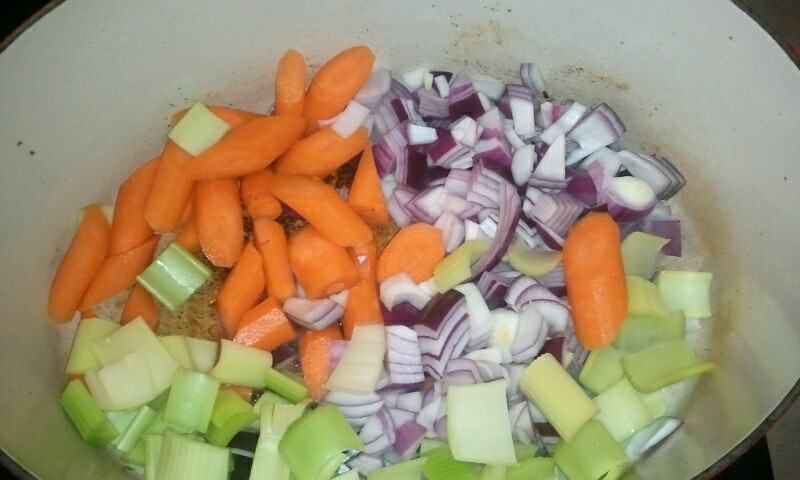 If the sweating of the vegetables doesn’t help you scrape up all the yummy brown bits, add a bit of the wine to help. Once the vegetables have begun to soften, add the roast back to the pan and add the wine, stock, rosemary and bay leaves. Bring the pot to a gentle simmer on the stove then cover tightly and place in the oven. 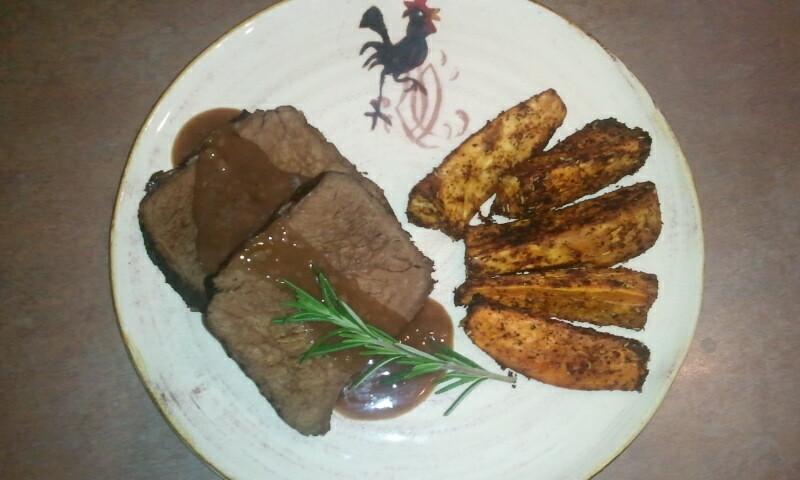 My roast took 2 hours to get to the tenderness I like which is not falling apart but slices nicely and is fork tender and delicious. If you prefer it more well done it may take up to 3 hours. 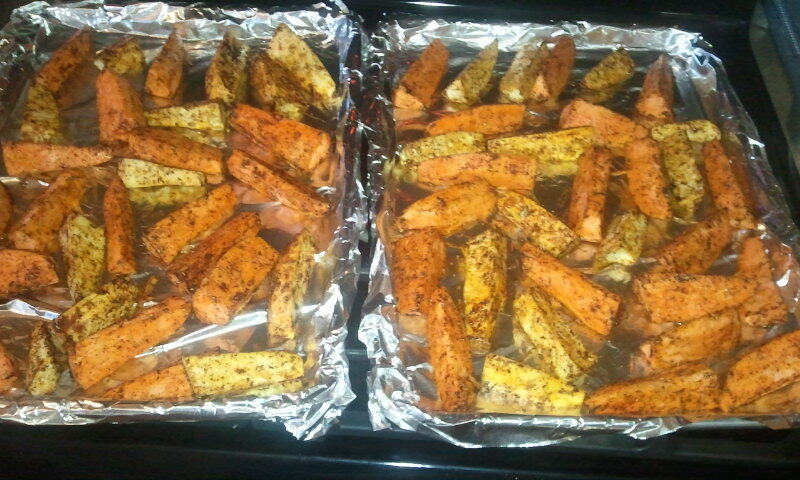 For a side I decided to make ancho chile roasted sweet potatoes and yams. They need about 30-45 minutes to cook in the same 350 degree oven as the roast. 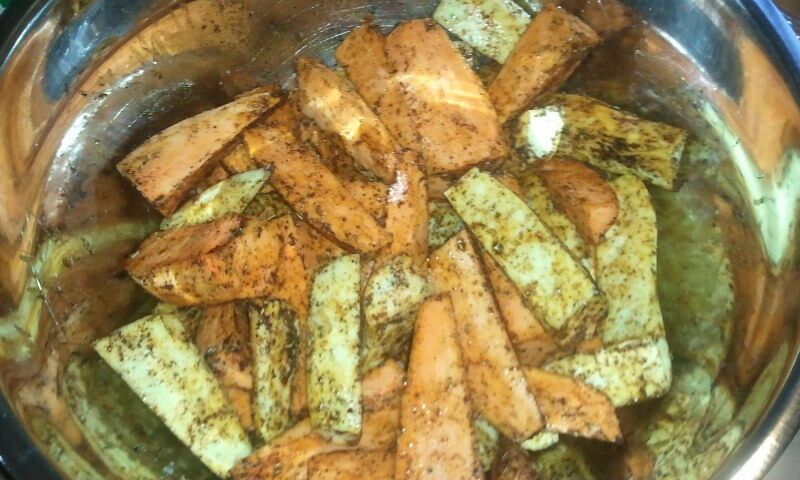 After making big wedges of the vegetables, toss in a bowl with a little olive oil, salt, pepper, ancho chile powder and garlic powder. Line them up on a foil covered baking sheet and when the roast is about 45 minutes from being done, add these pans to the oven. 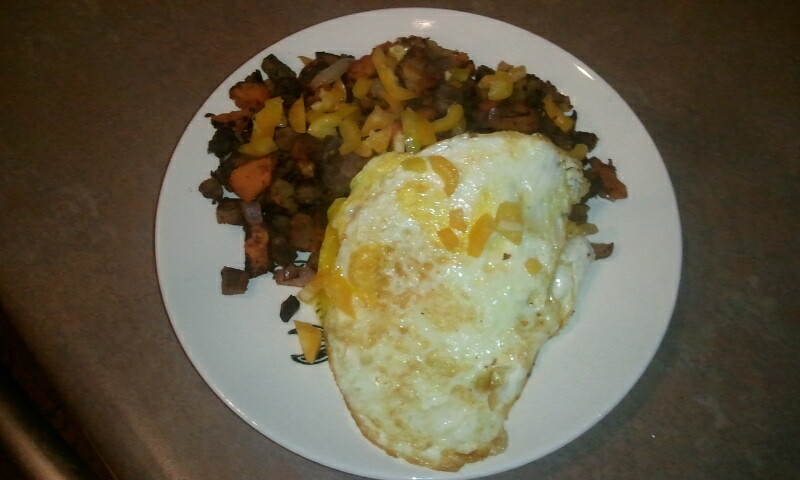 I had some leftovers so I made a breakfast hash the next morning. 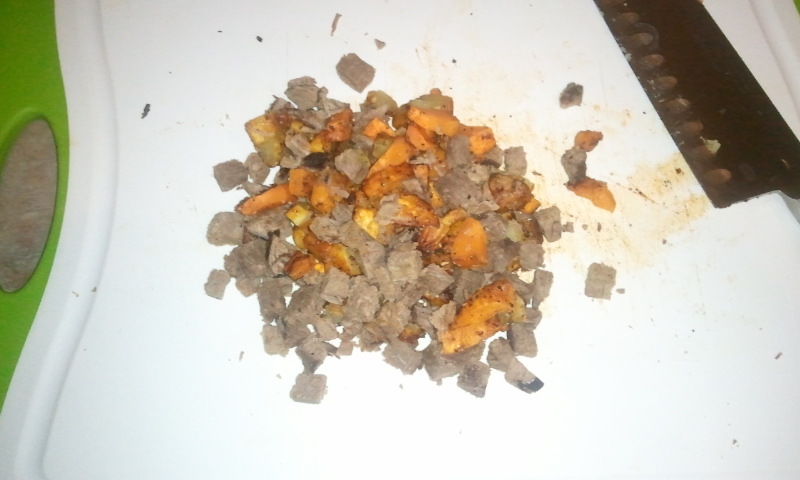 Simply chop up some of the meat and sweet potatoes and yams. I added some chopped onion and peppers, too. Then, heat a skillet with a little oil and add it all to the pan. Heat it through and try to get a little bit of browning. Then, I fried an egg and another great meal from the grass fed beef roast! This entry was written by Terese, posted on March 19, 2012 at 11:51 am, filed under Blog, Grass Fed Beef & Buffalo, Recipes and tagged buy grass fed beef online, grass fed beef online, grass fed meat online, pasture fed beef cattle, where can I find grass fed beef. Bookmark the permalink. Follow any comments here with the RSS feed for this post. Both comments and trackbacks are currently closed.